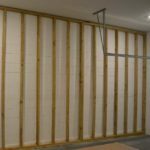 What is a high lift garage door? I want as much stuff off the floor of my garage as possible, but to do that, the stuff has only one place to go. Up. The problem is, my garage door rails are in the way. So I started researching a way to get some more headroom. That's when I found out about high-lift garage door kits. A high lift garage door extends your garage door's track so that the door hugs the … [Read more...] about What is a high lift garage door? In the not too distant past, someone got the incredible idea of putting an old refrigerator in his garage. I'm pretty sure he won the Nobel Prize that year. He should have anyway... All over the world people tried to do the same thing with their old refrigerators. There's only one problem. 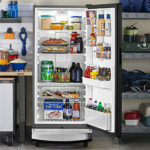 Depending on how hot or cold your garage gets, those old fridges probably broke … [Read more...] about What is a garage ready refrigerator? How much horsepower does a garage door opener need? The last time I bought a garage door opener, I only looked at the horsepower and ended up buying more than I should. I mean...more is better, right? 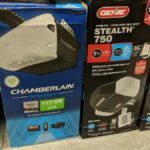 Maybe for cars, but not for your garage door opener. How much horsepower does a garage door opener need? 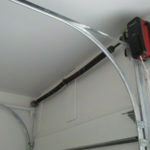 If you have a single car, steel garage door (roughly 8' wide) you only need a 1/2 horsepower garage door opener. If … [Read more...] about How much horsepower does a garage door opener need? Garage Transformed is a participant in the Amazon Services LLC Associates Program, an affiliate advertising program designed to provide a means for sites to earn advertising fees by advertising and linking to Amazon.com. 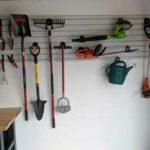 Garage Transformed also participates in affiliate programs with CJ, ShareASale, and other sites. Garage Transformed is compensated for referring traffic and business to these companies.